Our patients are in control of their dental experience. We take pride in creating a relaxing and comfortable environment for our patients. While working, we take our time and explain each detail of the procedure. We ask for your feedback to ensure pain-free anesthesia and we listen to make any necessary adjustments. Pillows and blankets are available during your visit to make you feel more at home. 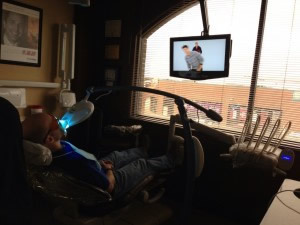 Several of our treatment rooms have flat screen televisions and our patient’s love catching up on their latest show during their appointments. Some patients have stated that it was the lone hour in their day to simply relax! Many patients dislike being numb after the appointment. To remedy this, we offer OraVerse, which is a reversal for the dental anesthetics that we used during your treatment. This product is beneficial if you have a lunch meeting, a happy hour date or you just do not like the prolonged numb feeling that the anesthesia causes. OraVerse is the first and only product of its kind to rapidly reverse the effects of your local anesthetic so you can feel, speak, smile and drink normally in approximately half the time. It is complementary in our office. To help our patients feel more comfortable during treatment, we offer two kinds of sedation options. The first is nitrous oxide, commonly called "laughing gas". With nitrous oxide, you feel back to normal minutes after the treatment has concluded. We also offer oral sedation which entails taking a prescribed oral medication one hour before your appointment. This form of sedation requires a driver because you will feel drowsy for awhile after the visit. We pride ourselves on taking care of our patients overall oral health. 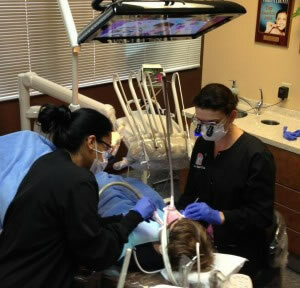 We do oral abnoramilty exams on each of our new patients that come into our office. We also do complementary oral abnormality screenings at each hygiene appointment. It is important to detect lesions early with oral cancer. We also offer a more detailed exam using VELscope. One person dies from Oral Cancer nearly every hour of every day, but the good new is…early detection with VELscope could save your life. The death rate for oral cancer is higher than cervical cancer, Hodgkin’s lymphoma, laryngeal cancer, endocrine system cancers and melanoma. Human Papilloma virus (HPV), the sexually transmitted infection commonly associated with 95% of cervical cancers has been linked to oral cancer. HPV has caused an increase of cancer cases in young, non-smoking adults, that until recently had a low incidence of oral cancer. VELscope is new technology that facilitates Dr. Brigati and her team in detecting oral lesions early. If cancerous and pre-cancerous lesions are detected in the beginning stages there is a greater chance of successful prevention, treatment and recovery. This procedure is painless, takes only minutes and gives Dr. Perkins a clear, up-close look at the condition of the patient’s mouth. CariVu is new technology to dentistry. As a practice we try to be as conservative as we can with your treatment. 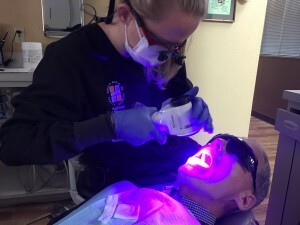 The Cari Vu is a transillumiantion device that sits on top of each posterior tooth and shines a light through it. It enables us to look at the density of the tooth structure and captures a photo of each tooth. It shows incipient lesions, cracks in your teeth and problem areas around restorations. With this technology we can be more conservative with the amount of radiographs that we take on a daily basis. 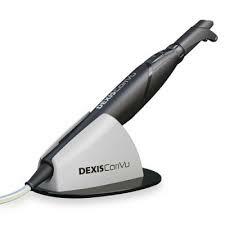 We use it for our patients that are pregnant and for our younger patients that are not able to take radiographs. It allows us to detect smaller decay earlier. We will work with you on a nutrition plan to help remineralize your lesions that qualify.